OS Update #1 – An intro! But well that’s life and life has to keep moving! I know I know I’ve been very lazy even in posting here, since yesterday there has been an overdose of PR posts as you all saw, Sigh! 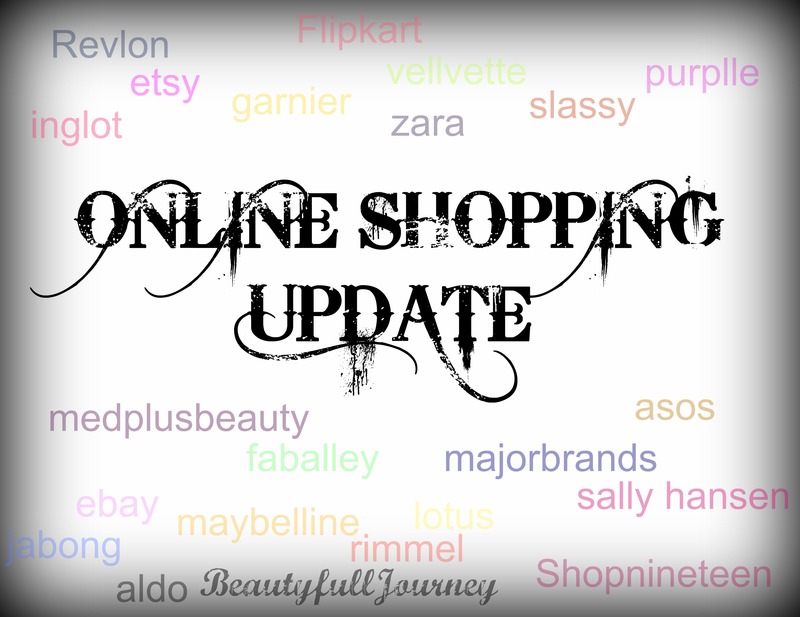 I’m starting this new section for you all from today – OS Update! Oh no, it’s not an update about any OS(operating system:P). But in this section, I’ll actually update you all about Online Shopping. These days we all are so lazy plus everything is available at one click, we prefer online shopping many times. Frankly speaking, I am a BIG online shopping freak. In this week itself I have placed two orders. I just can’t resist myself when such beauty-full things are only a click away 😛 Plus these days online sites get new launches faster than stores. So I hope this new section can help you all. I’ll update you all about new online shopping sites, where can you find the newly launched products, where can you find the best bargains and so on. Also, I’m going to be writing about all this with my own will and I’m not being paid or asked to write about any particular site unless I specify that in the post. But medplusbeauty has got a few of S&G stuff on their site now. I would like to mention that some of these stuff I’ve not even spotted in Sephora so it’s great that they are available here, like the hair conditioner and the eyeliner. I think I would love to try the conditioner. If you ask me to recommend you one S&G product from my own experience, I would without doubt say, the Flake Away body scrub. It’s simply amazing. Ready my review for it here. 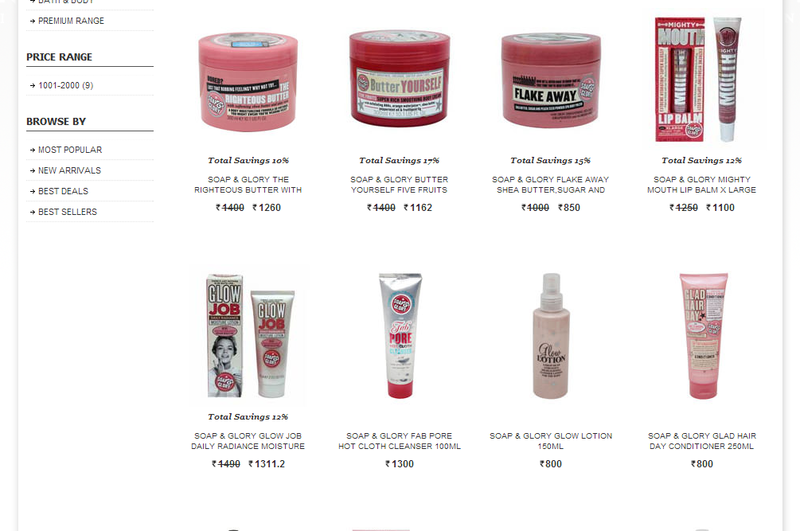 You can read my experiences with Soap & Glory products here. Next > Lotus Herbals introduces 5 trendy new nail enamel shades. Try to include international delivery(such as Australia,Singapore,UK,etc)..